When the worst earthquake to hit Nepal in living memory strikes on 25 April 2015, Jules Mountain is shivering in his tent at Base Camp. 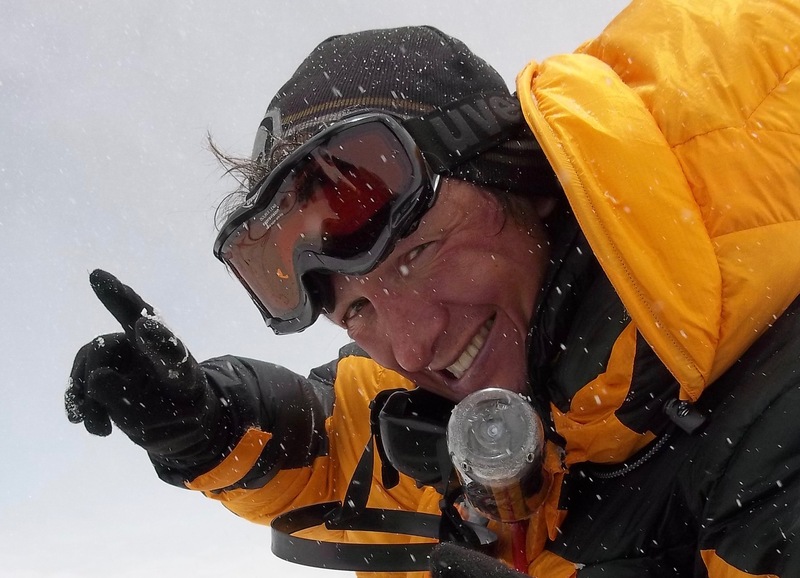 To reach the summit of Everest has been a life-long dream, one which he is more determined than ever to realise, having won his battle with cancer two years earlier. The climbers are faced with an impossible set of decisions: to get to a safe zone as quickly as possible? To try to be of assistance in the relief effort? To push on despite everything? All three options have huge implications – moral and logistical – and Julian’s unique situation sets him apart from the rest. This is the true story of one man's ordeal during the most deadly disaster in the history of mountaineering on Everest, which would leave over 8,000 dead and thousands more missing and injured; how logic, compassion and risk assessment are affected by altitude, vested interests and the stress of extreme circumstances. While very few of us will ever find ourselves in Jules’ boots, Aftershock throws up questions which transfer surprisingly well back to everyday modern life. Watch a two-minute trailer here. “I’ve got a space on an expedition in a couple of months,” he said, matter-of-factly. My interest was piqued. This could be a good adventure, I thought – would it be the Eiger, Matterhorn, Jungfrau? That moment was intensely exhilarating. Everest… Actual Everest, the actual Everest. The real thing. I’m in the pub in Chamonix having a few beers, this guy walks in and all of a sudden…I have a chance to go to Everest! Blow me over with another pint of beer! The trek wasn’t particularly difficult – the challenge was the acclimatisation – so we had to take it at a steady pace to allow our bodies to adjust to the altitude. No matter how fit you are, you cannot rush up the Khumbu Valley. It was a great opportunity to check out the landscape and to bond with some of the people on the team. After passing through the small village of Phakding, which is positioned next to a tight turn in the flowing Dudhkosi river, we continued across an enormous suspension bridge. The valley was littered with bridges like this one, in differing states of repair. 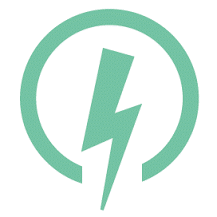 Some were old, rickety structures, while others had been recently renovated or replaced. I wondered where the money had come from to replace them, and later learned that the new suspension bridges were a gift from the Swiss. My head throbs from the festivities of the night before. Alcohol is not a good idea at altitude, but we were dancing and drinking into the early hours with very little oxygen, so I am enjoying a quiet rest day. I’m lying in my ‘coffin’ – my minute tent at Everest Base Camp. The canvas is about half a metre above my face, and my two kit bags are squeezed in next to me. It’s -2°C. My breath rises from my mouth like small plumes of smoke as I try to catch a midday nap. My feet are tucked in the end of my sleeping bag; my eyes are shut. The sun is shining in through the tent lining – a day like any other I’ve experienced in the five weeks I’ve been here. Suddenly and without warning, the ground I am lying on abruptly moves half a metre to the left. I open my eyes with a start. What on earth? Did that really happen? Did the entire earth just shift beneath me? Or was it last night’s whisky? Again, I feel the earth move. The ground underneath me lifts me up half a metre, as if something is pushing into my back, before suddenly shunting to the right. What the hell’s happening? I am lying on a glacier of 100 tons of ice – nothing could move that! I heave myself up out of my sleeping bag; rip the tent zip open. The snow in front of me, calm and serene, blissfully unaware of the plans the mountain has in store for it, clings to me as I half-crawl out and stand upright. It rolls, turns, tumbles every which way, billowing right and left and everywhere, as it surges invincibly on down the mountain. From ground to sky there is nothing else; just this wall of whiteness thundering towards us, oblivious of all in its path, full of heartless violence. Crikey!… This is it – I’m dead! I’m dead! There is nothing I can do but accept that I am about to be swept away forever by an avalanche. After all the near misses and close calls of my life, after all the lucky escapes from hospital, I must exit here, thousands of miles from my loved ones. My daughters, my girlfriend, my family in England drift into my mind; time seems to be slowing infinitely to allow me to think about them all, one last time. It feels as if 15 minutes have passed since I emerged from my tent, but it’s actually only a few seconds. I look down. I’m not even wearing boots; just socks on my half-frozen feet. Could I run? I glance over my shoulder. Donat and Iwan have thrown themselves behind a two-foot rocky outcrop, but I don’t have time to get there. Running is out of the question. The avalanche is hurtling towards me at 150 kilometres an hour, and the ground is an obstacle course of rocks, guide ropes and ice. I am sure to trip. And anyway, where to run? I think of the icy lake just behind me on the glacier – what if the avalanche throws me in? I have to get down. Now. I dive headfirst into my tent, and hit the floor, burrowing my head into the ground. The avalanche is on me, all around and on top of me. I am being buried alive in snow. "The story of the disaster is a remarkable chronicle of resilience and resourcefulness, but also of almost manic determination." “Mountain provides a candid, harrowing account of the devastating events of April 2015, when an earthquake provoked avalanches on the world’s most famous mountain." 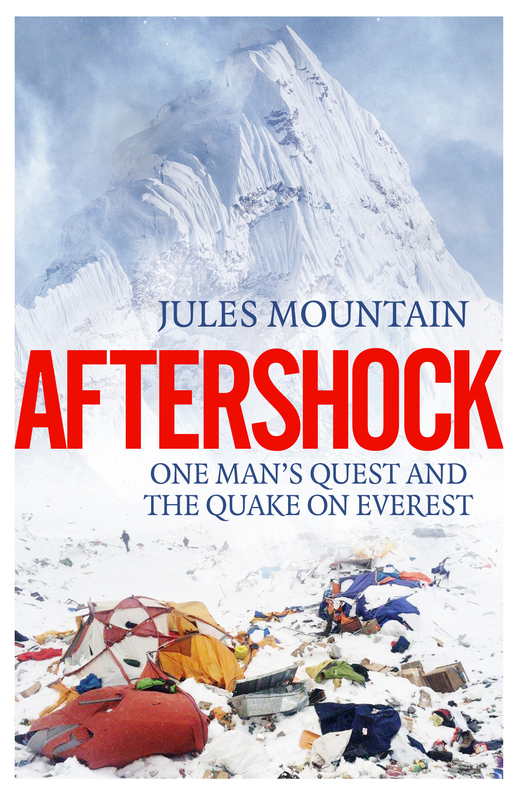 "Aftershock is a heart-stopping eyewitness account of Everest’s deadliest day in history." Click here to discover Jules Mountain's three mantras for life in a 30-second video trailer. Jules Mountain is a maverick entrepreneur. In 2007 he was diagnosed with cancer while he was trying to sell his latest business. In spite of major surgery and chemotherapy he successfully sold the business just before the global financial crash. After a gruelling 12 months he recovered and set himself the new challenge of climbing Everest. He wanted to prove to himself that the cancer had in no way affected him and he was still as physically capable as he was before his diagnosis. He now advises other businesses and is a motivational speaker, as well as a loving father to his two daughters.